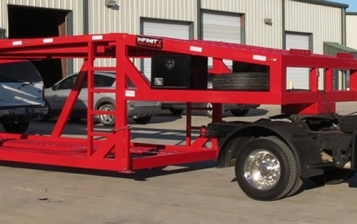 Most haulers don't give much thought to the trailer’s wheels until it’s too late. There are certain things which they should keep in mind to prevent major accidents. Simply replacing the tire with anything off the market is not the only solution. So, what can you do to keep things safe? • Is a bigger tire good for more traction? Well, it's not a problem if the size of the tires are different from the previous ones in a trailer. But make sure each of them are of the same type, size and construction. You should check the label of certification or owner manual for the appropriate size, type and load range of the tires. • Are aluminum wheels better than steel? Alloy wheels are sometimes light and rustproof but are brittle too, therefore steel is a better choice as it can be beaten back into shape if it gets damaged. As per the law tires and their wheels must be capable enough of taking heavy loads on a static position. This is because the entire weight of the trailer (along with goods) gets reduced when it is on the move. Thus, tires can be best tested when the trailer is parked. However, overload can lead to overheating, which can further cause accelerated wear or a complete blowout. 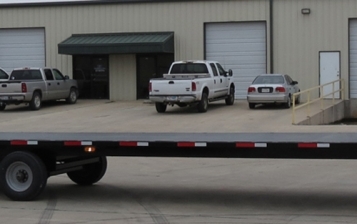 Generally a trailer has a compliance plate that indicates the maximum size of the rim and tire. Trailer tires come with varying compounds, tread patterns, sidewall sizes, widths and speed ratings. It is the sidewall that displays the brand and model along with a series of numbers and letters, like 165/60 R15 91H. What does this mean? • 165: This section indicates the width of the tire in millimetres. • 60: It is the width of the sidewall. If it's an off-road tire, it'll have a higher profile number, while a performance tire will have a smaller one. • R15: This display the rim diameter and construction. The letter “R” depicts the radial and the number is actually the diameter of the rim which is measured in inches. • 91H: This is the speed rating and load index of the tires. The number simplifies the maximum load to be taken (kilograms). “H” is the symbol of speed. Is bigger tire a better option? • Make sure they match the trailer hub. • Usually a larger tire and rim create more stress on the axles and springs. • If you want to replace the existing wheels with larger ones, the trailer sometimes won't level itself with the loaded cars, thus putting a lot of stress on the towball. It is strictly recommended to check the regulations properly before letting your 4, 5 or 6 car trailer hit the roads. Towing a trailer which is not compatible with the type of loads or roads may cause serious ramifications in an accident. Hence, if you’re planning something out of the box, be sure to check the rules set out in the National Code of Practice for Vehicle Modifications. Any extraordinary modification including non-standard wheels and/or tires may affect your insurance and also cause you to face severe legal complications. The best option is to talk with the experts in Texas who can provide you important knowledge before you buy brand new tire. The bolt pattern is also called the bolt circle or lug pattern. This consists of two numbers. The first one tells about the number of bolt holes in a wheel and the second reveals the diameter of the circle that is created by the bolt holes. For example, if a wheel has 6 on 5.5″, it means the bolt pattern has 6 bolt holes that are set on a diameter of 5.5″ inches. The pilot diameter is the radius of the hole which is in the center of the wheel. Understanding the pilot diameter is important especially when you're comparing a hub-centric product with lug-centric wheels. Hub-centric wheel uses flange nuts or flat nuts while the other counterpart uses cone nuts. When replacing lug-centric wheels, the pilot diameter must be greater or equal to the diameter of hub. The distance from the center of the wheel to the mounting surface is called the offset. If the distance of the mounting surface equals with the rear lip of the wheel to the front lip, the load on the trailer must be configured properly to avoid accidents. Generally a wheel that is curved inside must be closer to the suspension that eases clearance issues. Whether you replace or buy new tires, consult with an expert to get the right products based on the load capacity and length of the trailer. 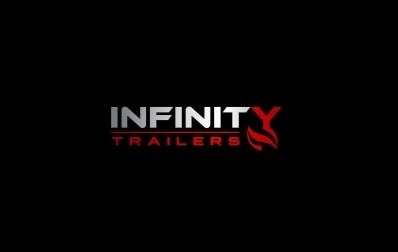 © Copyright 2019 Infinity Trailers. All Rights Reserved.